It's nearly here. I'm ready for it, it's been a long week, and has anyone noticed? ITS GETTING WARM. The good news is that my beer fridge is fully stocked, phew. 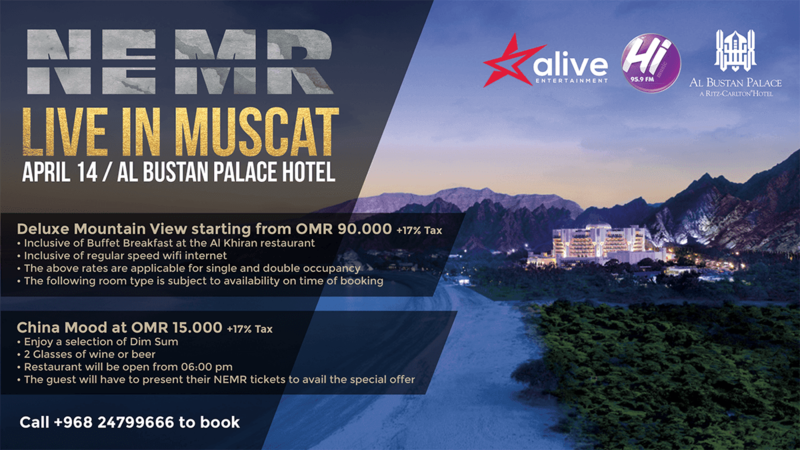 Tonight sees the comic Nemr stop off on his world tour to make people laugh at the Al Bustan auditorium, and I ran a giveaway for free tickets to it. The winners were picked this morning and have been notified by email... so if you entered and didn't win... I'm sorry. More stuff coming soon! 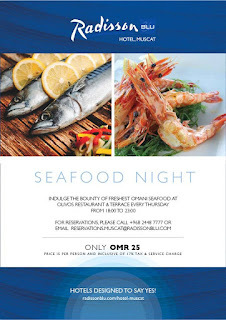 As it happens, if you are going to Nemr tonight, there's a pretty good offer from the Al Bustan Palace where they're offering dinner at China Mood along with a couple of drinks for RO 15 - if you have a ticket to Nemr they'll give you dinner and drinks at that promotional rate. If you still want to go to NEMR tonight, you can buy tickets on the door from RO 20. 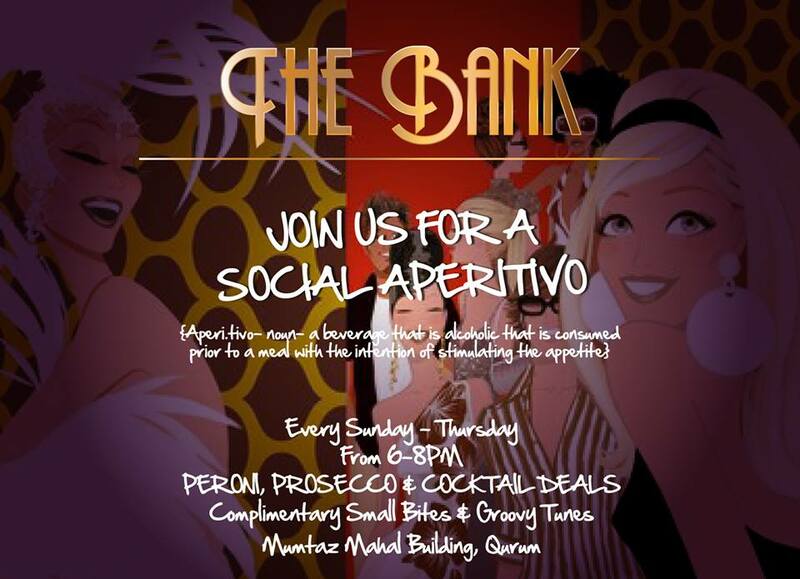 If you're not going to NEMR, you might want to check out the Social Apertivo thing at The Left Bank (seems there's been a change in ownership). 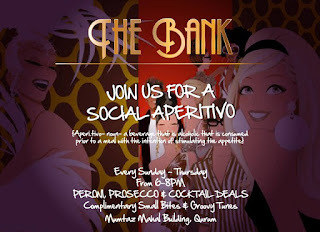 Basically there are deals on Peroni, Prosecco and Coctails along with complimentary small bites EVERY evening between Sunday and Thursday - 6-8pm. A nice warm up perhaps. 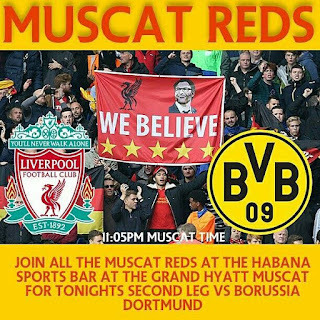 Also happening tonight at the Habana Sports Bar is the Muscat Red's (Liverpool supporters) gathering to watch Liverpool play Borussia Dortmand, kick off is at 11:05pm. Also at Feeney's tonight Doug Hill will be playing live from 9pm. 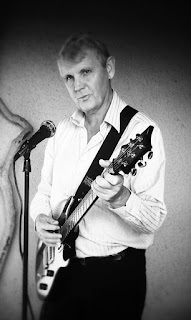 Today's special is Lamb Chops and mint sauce (not jelly mind you) for RO 5.500. Jagerbombs for RO 3.000 and house double's for RO 3.00 too. 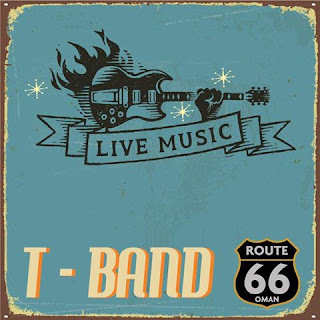 The T Band are playing at Route 66 tonight from 9:30pm, RO 5 per couple/single guy but if you are Flight Crew or ROH staff, entry is free. So basically just say you work at ROH to get in for free then? Also tonight is the Seafood night at Olivio's at the Radisson Blu, RO 25 include the taxes. 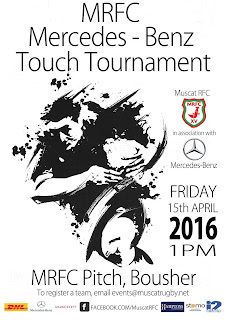 Tomorrow in the afternoon is the MRFC World Cup (of touch rugby), there are 12 teams registered this year, with a warm welcome to Somalia who have fielded a team in the MRFC cup for the first time ever. The after party is being held at the Dolphin club, and all are welcome to come down and watch (or even show up with your kit and we might find a spot for you). 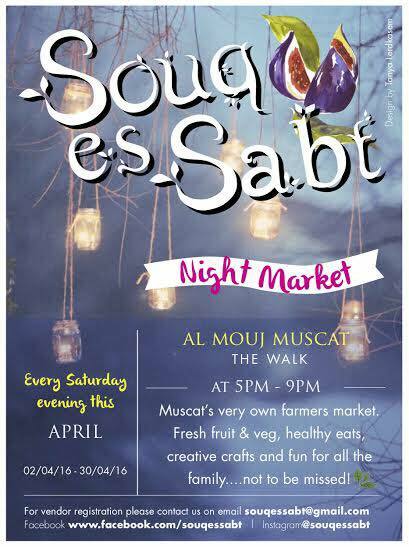 The pitch is located just a few minutes away from Muscat Private Hospital (here's a link to a map). Team Canada's tent will be the best one. Also happening tomorrow, my very good friend Susan is having a 20% off sale at her store in Qurum, TOTEM. If you like designer clothes that are not available anywhere else in Oman (or the Middle East in many cases), you really should go check her store out. Plus, you can get coffee and cake from Copper for RO 2. On Saturday evening is the farmers market at The Wave al Mouj, it runs from 5pm until 9pm and has a bunch of cool stalls, fresh fruit and veg, healthy snacks, creative crafts and fun activities for the kids too. Running all weekend (and actually until the 26th of April) is an art exhibit at the Crown Plaza in Qurum, it's free to go and check it out. Also in the art vein, there is the 39th Art Retreat on Saturday between 8:30am and 5:30pm. 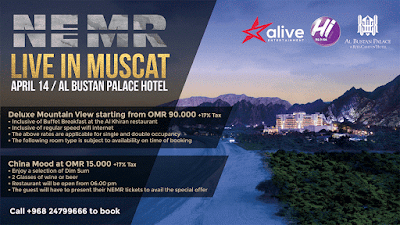 It costs RO 20 and you can enrol by calling Huma on 9760 9925. You need to bring your own art supplies and stuff too. 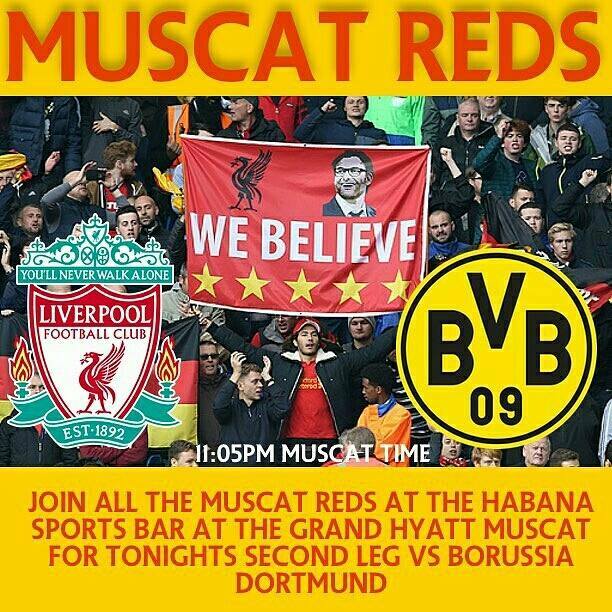 Click the link above for more info, it's at the Hormuz Grand Hotel.